Recently I was asked for tips on helping find appropriate texts for students. So, I've compiled a list of resources that are free and accessible. These resources offer suggestions for how to assess a students' independent level along with how to find texts on a variety of levels and topics. #1: Unite For Literacy is a site that has a collection of picture books. Students can flip through the books online, read the text themselves and then listen to the audio recording of the page being read aloud. Students can search according by content area. Two new books are added to this site each week. 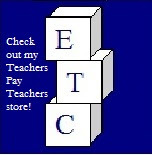 #2: Reading A to Z is a resource that costs about $100, but they do have free leveled sample texts online to download. They also have programs and apps that they offer two week free trials on. #3: While this is not a free resource, it is a bit of free advice for quickly assessing students' reading level. The formula for testing whether or not a book is a good fit for the child is pretty simple. Listen to a child read aloud. If they make more than 5 uncorrected errors in a 100 word passage, the book is not at their independent level. If the child shows an interest in a book that is beyond their independent level, don't discourage the child from reading it. Instead make that a book they read with a buddy reader. #5: Project Gutenberg has an online collection of children's literature whose copyright has expired. 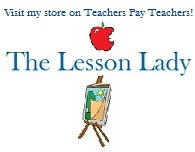 Site Wide Teachers Pay Teachers sale!